Astronomers have discovered that a radio jet from the supermassive black hole at the heart of the Milky Way could be pointed almost directly towards the Earth. By incorporating the world’s most powerful telescope, Alma, into an array of sky-scanning antennae, astronomers have managed to pinpoint the radio emission to a smaller region of space than previously thought. The Alma telescope – short for Atacama Large Millimetre Array – promises to probe deeper into space than ever before, and is made up of 50 antennae arranged over a 10km (6.2mile) radius. The $1.3bn (£870m) observatory is based in Chile and works by combining radio waves collected by the antennae to construct images of space. 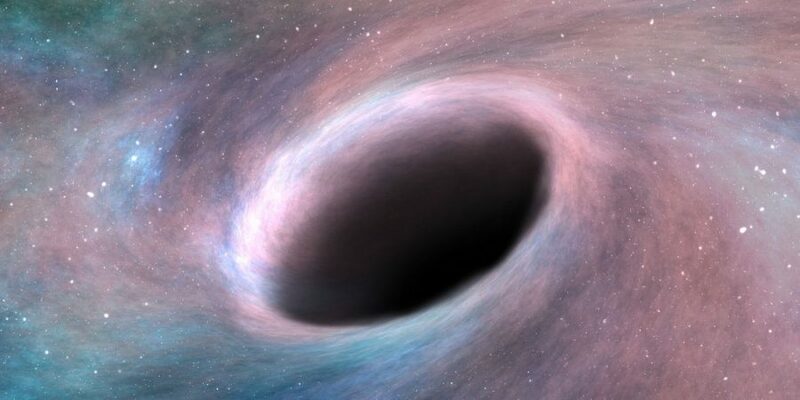 In a new paper led by University of Nijmegen PhD student Sara Issaoun published in the Astrophysical Journal, scientists have for the first time penetrated the foggy cloud of hot gas obscuring the black hole at the centre of our galaxy. They discovered that the radio emission comes from such a small region of space that it looks as though the jet is pointed almost directly at Earth. 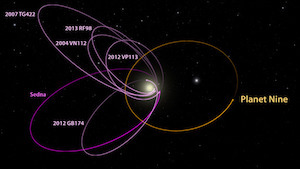 The team used a technique called very long baseline interferometry (VLBI) which effectively combined many telescopes into a virtual telescope the size of the whole Earth. 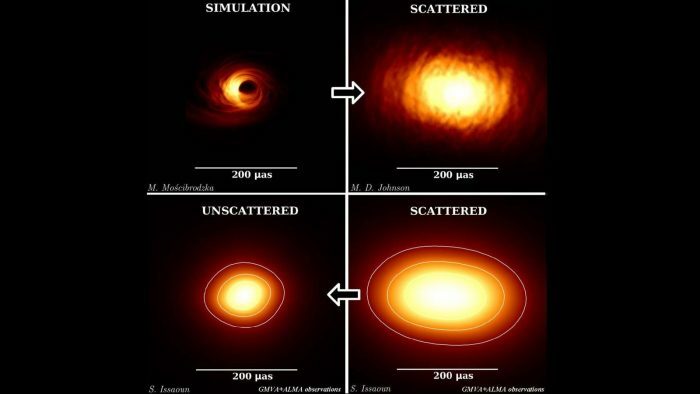 In doing so, they mapped out the exact properties of the scattering of light which blocks out view of the black hole, known as Sagittarius A* – and by removing this scattering produced the first image of the black hole’s surroundings. Ms Issaoun found that the high quality of the unscattered image of the black hole revealed the bulk of the radio emission to come from a region of space about 300 millionth of a degree in the sky. “This may indicate that the radio emission is produced in a disk of in-falling gas rather than by a radio jet,” explained Ms Issaoun, who tested several computer models against the data. Such a jet is unlikely to be possible to cause harm to the Earth, but could provide valuable data about the black hole. Future studies of the black hole which collect data at different wavelengths could help increase scientists’ understanding of black holes.